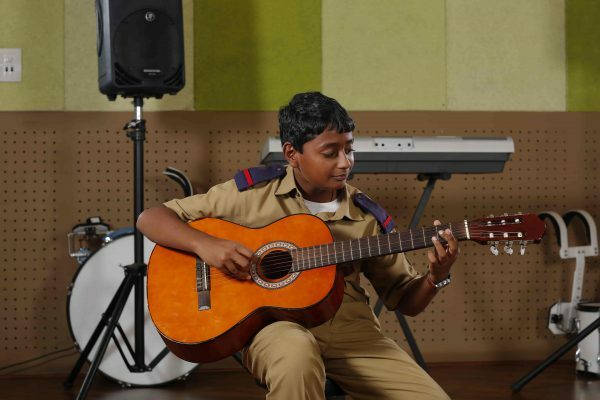 At the heart of the Music Department is the belief that music is imperative to the all round development of a child. The learning of vocal technique or an instrument teaches a child several things – the self-discipline that paves the way for excellence, the thought and reflection required of music making and the curiosity essential to creativity. The philosophy of the Dept. 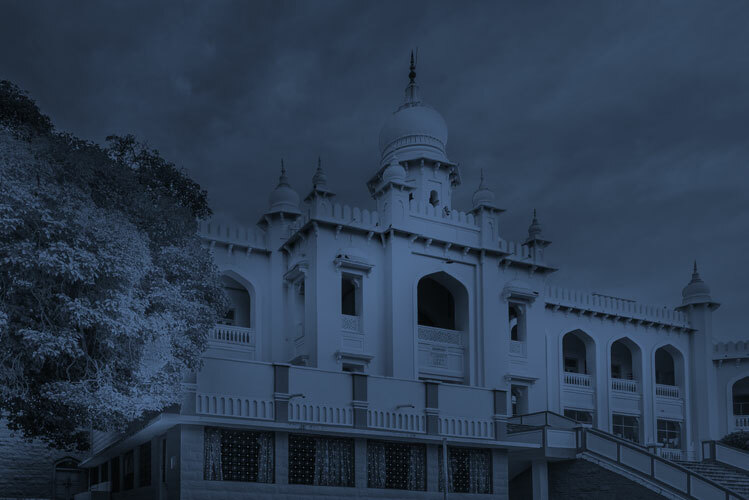 of Music at HPS was modelled around that of the Berkelee College of Music, Boston which rests on two revolutionary ideas: that musicianship could be taught through the music of the time; and that our students need practical, professional skills in order to pursue successful, sustainable music careers. 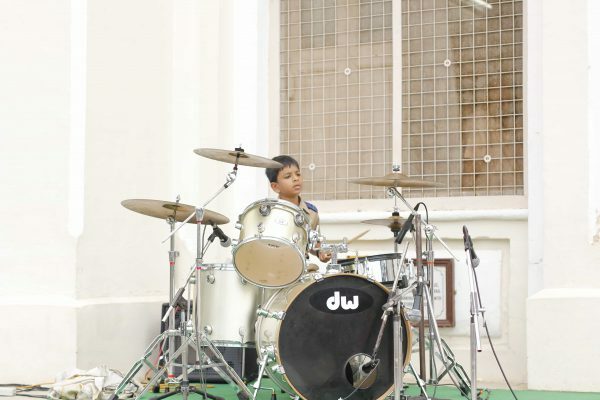 Instruction in instruments like the keyboards, guitar, drums, tabla, violin, the clarinet/saxophone and the trumpet are offered to students of the middle school. 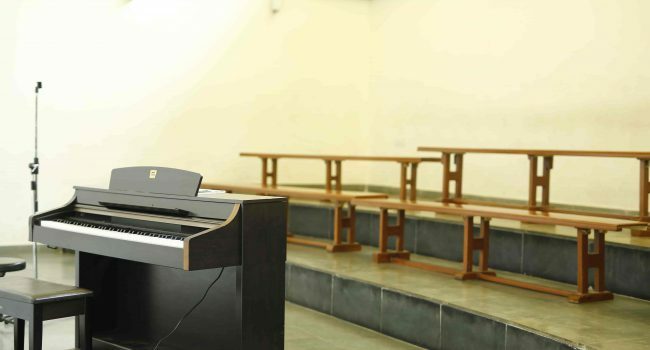 Students are encouraged to work on their individual skill set daily under the guidance of the faculty in the practice rooms at The Centre for Performing Arts. The Choral tradition at our School is one of the strongest in the city. Each House of the Senior section is encouraged to build up a Choir. The School choir sings at assembly every morning and is constantly working on its repertoire of harmonies. 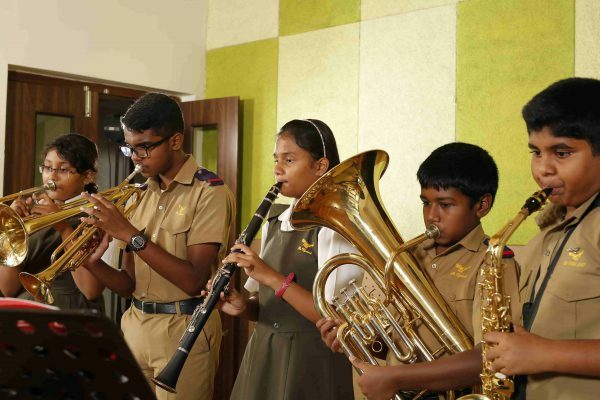 The School Woodwind and Brass Band comprises students playing Brass instruments, reed instruments and percussion instruments – cymbals, drums, etc. 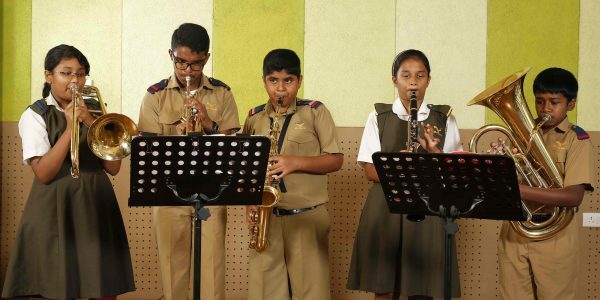 The School Brass Band regularly performs at school parades and functions like the Sports Day and the Investiture Ceremony. 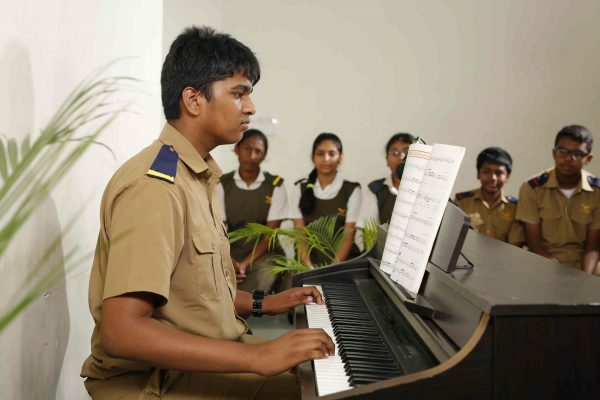 Budding musicians in the school are required to form, arrange and write music for Contemporary Musical groups within their houses as well as for the School Band. The School band performs several times throughout the year, often at events but is also encouraged to host impromptu concerts for their fellow students at the Centre For Performing Arts. In the near future the Department of Music will also boast of a full- fledged recording studio which will not only be used to record audio for the School’s purposes but also to begin Instruction in Audio Engineering for students interested in pursuing the same. The Music Department also has a string orchestra in the pipeline.